The isolated island-continent of Mere is home to many peoples. The winds that brought its inhabitants seem equally intent on keeping them there. As such, the land is often called Windswept by these different cultures in their respective languages. But this land has another secret; it is home to the Kith, mythical beings capable of shapeshifting. They exist on the periphery, manipulating and guiding the course of human history. The Alessiäns, who have introduced steam technology to Mere, are the most recent arrivals to this realm. Having come at a time of great turmoil and upheaval, they were thrust into the middle of a vicious conflict and eventually secured their place as one of the great powers of Mere. A young Alessiän woman named Nadine Tagal finds herself stricken by an Esper’s curse and must embark on a fateful journey to find a cure in the shadowy world of the Kith before it consumes her. She encounters a Kithian warrior who introduces himself by the Alessiän name “Reynard.” He claims that he has been sent to guide her to a place known as Numina. Though his true motivations remain unclear, it appears that following him is now her only option. Shiftling is a cinematic-platforming fantasy adventure spanning 26 chapters and focused on atmospheric story-telling, character building, and the expanded mythology of the realm of Mere. This mythical Vesperi princess was a beacon of hope for humanity in the ancient Sundering War with the Melai Shiftlings. After revealing herself to be an Esper, she ushers an end to the tragic conflict with dire consequences. Her voice echoes through time and awakens Nadine’s latent powers. Once a decorated war hero and considered the greatest airship pilot in Mere, Bancroft now captains the rogue ship Sumazau and is ruthlessly hunted by the Alessiän Sky Force and Tagal Heavy Industries. Fortunately, this has not dampened his cavalier spirit, in part thanks to his favorite drink, Soma. A Shiftling who claims he has been sent to guide Nadine to a place known as Numina. Though his true motivations are unknown, he is the only one who can help her navigate the perilous journey that she has been thrust into. He wields the Esper-killing blade, Neverin. The Tagal family has a mysterious past — at least, the details have eluded Nadine. Raised by her father, Alcott, in the seclusion of Brightwood where he personally saw to her education, she is a prodigy of her time. She possesses an adventurous spirit and dearly wants to travel the world and see airships. Despite this, Alcott is adamant that she is not ready. This all changes when a mysterious mark manifests on her hand – one which she learns is slowly killing her. Malachite’s sister is an enigmatic con artist and skilled assassin. She’s also a deranged sadist with a penchant for fine art. As an accomplished painter, she has taken her obsession to extremes with her attempts to replicate the ingenuity of her human contemporaries. Despite her best efforts, Malachite often finds Beryl thrashing her own work and lamenting aloud, “Why can’t I see what they see? !” She uses the power of the Opal Star to track down Reynard with whom she has an unknown connection. This Melai Shiftling is considered one of Mere’s most notorious thieves. Aided by his twin sister Beryl, Malachite uses Glamour, shape-shifting, and his natural talent of inflicting pain to procure valuable Kithian relics. He springs into action when Beryl’s ring, The Opal Star, reveals the location of the legendary sword, Neverin. The kingdom of Askaroth lies isolated and stagnant in the frozen North. Its proud people consider their once powerful empire a victim to Alessiä’s steam technology and encroachment in Mere. After the mark appears on her hand, Nadine finds herself pursued by this Askari agent. Our workers are educated and proficient people who have creative wondering and huge experience in this subject of organization. They know how to present an successful essay assistance on the web. There are no this sort of issues or requests which can’t be solved by our crew. We know those most important strategies of academic papers writing. So, you will absolutely get only excellent grades from your trainer. Only up to day elements and statistics are utilized for all papers and reports. We use environment-well-known plagiarism applications and purposes to assure a entire uniqueness of each paper do the job. Our professional employees are efficient enough to enable you to achieve good grades. In case you need to have to be able to ask further query about our work, you may want to contact us your convenient time. Our writers are certainly professional and effort is used on them using the field they have got knowledge of. The world thinks that providing your web visitors with quality work will make them stop by again and knock for help. We give customized services to our clients and that is the reason their expectations persist in increasing every day. If you happen to need to have to help ask further query about our work, do contact us at your convenient time. 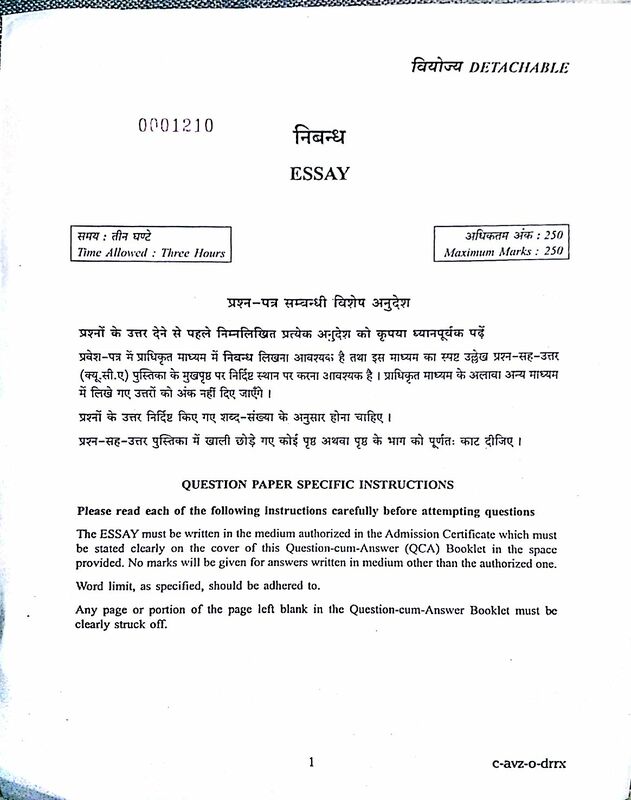 You can normally get your essay enable on line even in the middle of the night time. This is established by the really straightforward circumstance that almost all learners are much too busy in the working day. There is a special position bar on our web-site, which helps you to manage the progress of your crafting in genuine time. Besides, you can examine the paper on any stage of the approach and make necessary improvements in all controversial points. In circumstance you have far more issues and proposals, link us whenever you want all the 12 months round. Telephone phone calls, chat messages, and e-mails are accepted. Reasonable prices and rigorous confidentiality. We give customized services in our clients and this is the reason their expectations go on increasing every day. Our writers are quite professional and work is allotted to them based on the field they’ve got an understanding of. Writers care for work and assume responsibilty to try and do it within certain time period. Keeping rules in mind, we keep our customer’s information confidential and never share it with other sites. We often established price ranges depending on deadlines and volumes of academic papers. It is really rightly, that hurry orders can be much more costly than the everyday types. Over-all, our costs are acceptable and good. At the identical time, we assurance you demanding confidentiality and privacy. You can share with us as substantially info as you want. You really don’t want to send some variety of files or identifications to get your essay assist online in our corporation. Every thing you want to do is to fill out the form and to pay back for the solutions. We get the job done with primary Whilst students, we occasionally need more time for it to resolve critical occasions in daily life, essay online Will refer him to your account at this moment, it is all totally at no cost. banking institutions and online payment programs. As you can see, all operations and steps are executed by means of the Net. This is rapid and safe. How to buy?To get an essay assistance on line you require to fill out the software form on our web page. Or you can get hold of our administrators by on the internet chat just suitable now. Also, we have a particular reward program for our permanent clients. Really don’t overlook a chance to grow to be a portion of our major welcoming workforce, which incorporates learners from the United states of america, Canada, United Kingdom and even Australia. Hundreds of young folks use our products and services every single day to get enable to thrive in the most difficult college and university disciplines all around the environment. Top-level producing services for pupils. Professional assistance from academic writers. ADVANTAGES. 24/seven Help. Communication is at the main of productive collaboration. Which is why our customers could instantly hook up with On-line Essay Helper need to they have any issues about our essay crafting company. Our Buyer Guidance personnel will aid you remedy any concerns you could have in seconds. For that reason, will not be reluctant to get in touch with them whenever you might be struggling with any troubles on our web page or want to insert specs to the existing order promptly. QUALIFIED WRITERS. No make any difference the educational level of your essay, we unquestionably have on the web essay writers capable sufficient to compose a respectable piece for you. On the web Essay Helper has a near screening method that ensures that we retain the services of creating professionals that will get the position completed on the best level. Be sure: your income is nicely-put in with us. No inexperienced college students or unseasoned writers on employees at our paper crafting service. Only authorities with yrs of knowledge. 5 Many years OF Knowledge. We listen to students inquiring “I require school essay aid!” all the time! If you might be hunting for specialists to generate your composition, you’re in luck: we are what you might be looking for. Paying out us to support you publish an essay is a intelligent choice provided how many years of encounter we have in the sector. A few months back, the Minister was faced by the vast amount of art assets that needed to be created for Shiftling to be completed, and we started exploring the option of bringing other artists on board. While most of the slack has been picked up by the arrival of Pedro and Sharlyn focusing exclusively on art for the foreseeable future, thanks to the blog post we were introduced to a lot of awesome people, including our newest Sprocketeer, Raphael. In addition to Raph, we got into contact with a number of talented artists from Kota Kinabalu and West Malaysia, either in response to the post or through Tristan, Leon or Minho’s own outreach. Among them was Randy Robin Galiban, who while working in Kuala Lumpur, was excited enough by the prospect of a game being made in his hometown, that he took the time to work on some Shiftling-themed pieces. Ranbin, or Randize, has been an active artist for a while, as you can see by visiting his deviantART page. He does a lot of matte painting, and we were really stoked to open our inboxes and and see the gift he had made for Sprocketpunk. Included in the batch were several concept art images based on the Tagal family cottage from Book I of Shiftling, giving Randal’s take on one of the early scenes in the game. Minho always has art on his mind, and he was possibly the most excited to see how other people rendered Shiftling characters and settings. Also, based on the movie-inspired poster circulating around HobbyCon last year, he produced his own take of the Hunter. If you like Randy’s work, you should drop by his Facebook page or stalk him on deviantART. 4.3.14 Before they were Sprocketeers: Tristan and John talk a bit about life in Korea, encountering Minho. Before joining forces with Leon and starting up a game studio here in Kota Kinabalu, some of Sprocketpunk’s founding members were kicking it Gangnam style in Korea. Well, sort of. Sprocketeers John and Tristan were a stone’s throw from Gangnam Station in Nonhyeon-dong and a short bus ride from the Seoul city center, where they were instructors for an English institute, since renamed Wall Street English. In Jongno, “Bell Road” if you’re the translating type, they happened upon another Sprocketeer, Minho “The Minister” Kim, who while filling up his deviantART page was busy honing his English at WSE Korea. Venturing around Bukit Bintang in Kuala Lumpur just last month, John happened upon a WSE center there and got a bit nostalgic for the old days in Seoul. Not long after, Sam Wigginton contacted him asking if he and Tristan would be up for doing a short podcast for WSE Korea, talking a bit about their transition from life in Korea to working on Shiftling in Malaysia. Go ahead and give it a listen if you fancy, just remember it was edited with intermediate English learners in mind. Also, it was our first attempt at recording ourselves. That much will probably be obvious. The voice at the beginning is Sam. We’re going to try to make the Sprockcast a thing, obviously with a game dev, life in Borneo and gaming slant. If there is anything you’d like us to talk about, or burning Shiftling questions you’d like to to have answered, let us know on Facebook or through the contact form on the site and we’d be glad to talk about them. Since the start of Chinese New Year, the Sprocketpunk office, like most of Kota Kinabalu has been a whirlwind of activity. We had a new face join our team in Raphael, who just got back in town from finishing up a year course at Vancouver Film School in game design. We really liked the cut of his jib, and his love affair with Unity, and it’s already hard to imagine how we ever got by without him. There may be some confusion, as his disposition is more Donatello/Leonardo-hybrid than Raphael, for those who might be thinking in Teenage Mutant Ninja Turtle terms. Tristan headed off for a week in Melbourne, and has had nothing but good things to say about Josh and Bryan’s old stomping grounds upon returning. We’re really hoping to get back there for PAX Australia this Fall. Or Spring? But then there’s not really seasons here in Borneo. Let’s call it “late October, early November” for the sake of clarity. John was off to Kuala Lumpur to expand his passport and waistline through visits to the US Embassy and Carl’s Jr. respectively. We also had a visitor around and about, as Minho’s brother was in town from Korea for the week. The Minister took the opportunity to revisit some cultural attractions, and get reacquainted with some traditional clothing and local ethnic groups, which should pay off when he starts working on more character attire and areas inspired by them soon. The final day of the Chinese New Year celebration, Chap Go Meh, happens to fall on Valentine’s Day this year, forcing some of us to make that hard decision between family and significant others. Or for the single foreigners here, the even tougher decision between Tiger and Heineken. For those of us familiar with the holiday from Korea, we hadn’t really expected to see Lion Dancers beating well lit drums at local businesses everyday or be invited to countless dinner parties complete with red envelopes laced with money. Tonight Sharlyn will be brining the foreign Sprocketeers to her place for our last shot at ang pow and free booze for a while. It was good while it lasted. The holiday has been fun, but we’re looking forward to getting back to normal: having no social life and working on Shiftling round the clock. More about that soon. We’re still at the usual haunts, posting and chirping about Shiftling, but we’ve decided to dust off the ol’ Tumblr as well. If you’re interested, check us out at any of those. Sharlyn likes to surprise people. Her previous body of work in the field includes making dolls, plastering a Sprocketpunk logo on the wall of our office, painting a commemorative drawing for our one-year anniversary, making us all (much needed) coasters and even hand making a Pokémon-style trading cards for Tristan’s birthday. She even got herself a hanbok and showed up on Day #1 of HobbyCon in traditional Korean attire, especially for our homesick Korean colleagues, Minho and Snow. That’s how the Sharmander rolls. Her most elaborate surprise to-date came when she emerged on Day #2 of last December’s HobbyCon dressed as Nadine from Shiftling. While the rest of us focused on board games, messing around with the Oculus rift and debating which size burrito to buy for lunch, she managed to sneak off and return dressed as the heroine Minho and Tristan have been bringing to life for the past year. Apparently Sharlyn only got the urge to cosplay Nadine a week out from HobbyCon, leaving her precious little time to pull it off. Despite having never cosplayed before, she was able to pull a few threads and get the whole ensemble to come together in time for the event. How it went down It’s no secret that Nadine’s clothes are inspired by the traditional clothing of the indigenous people’s of Malaysian Borneo. Her attire is definitely distinct in its own right, but if you happened to have a have a Kadazan-Dusun “moludu” hanging around in your closet, you’d have a good head start on cosplaying Nadine. Sharlyn, while Sabahan herself, is ethnically Chinese, so her closet had been hitherto moludu-less. Luckily, a friend of hers from college had been doing fashion design for over a decade, and her specialty conveniently is Kadazan-Dusun traditional clothing. She gave Nancy Jollok a call. Nadine’s Brightwood Costume Having arranged to meet “Kak Nancy” as Sharlyn calls her (“Kak” being “big sister,” like onesan in Japanese or eonni in Korean. tl;dr No relation. ), Sharlyn was ready to talk moludu tops and kickstart her cosplay. Traditional clothing being varied from area to area, even village to village, the first piece Nancy presented Sharlyn with was a version from Kota Maruda. While no doubt beautiful, this wouldn’t help her bring Nadine to life. Sharlyn was sad. Nadine’s attire with the black and gold edges as she would later discover is more like those from the Penampang area. She was a bit taken aback to learn that the sleeveless design of Nadine’s costume was meant for unmarried young women, and surprised that Minho had incorporated that into his character design all those months ago. She was also bummed that Nancy didn’t have the necessary top design on hand, with HobbyCon only a few days out. Thankfully, Nancy is a legend. After seeing the character design of Nadine from Brightwood, her home area and the launchpad for the journey that players embark on through the world of Shiftling, she said she would need only two days to produce the top. Score. With that part of the costume done, Sharlyn could focus on the boots, brown tights, the mark covering Nadine’s hand and the Tagal family necklace. Tattoo/Mark It would have been a total surprise for everyone on our team, if only Sharlyn had physically been capable of tattooing her own right hand. Not being ambidextrous, and not keen on drawing the tattoo while holding eyeliner in her mouth, she enlisted the help of the Minister, our Art Director Minho. He’s pretty good at drawing Nadine’s tattoo. Tagal Necklace This was one of the hardest piece to make. Extracting the design from Minho’s art, measuring the exact size and printing it out was a piece of cake. The hard part was finding the perfect sized metal base for the pendant and making sure the final outcome would be waterproof (the design is printed on paper after all). Everything was DIY. It took about a good 4 hours to make sure every seam is perfectly sealed and protected from water and an entire day for the glue and resin to dry completely. While Sharlyn is going to be hella busy working on motion comics and and other in-game art assets going forward, we hope she finds time to continue cosplaying and help the rest of the gang get stuck in. Leon Chua CEOTraveler, businessman and Sprocketeer, his boisterous laugh and unrivaled tirelessness are a wonder to all. T. L. Riven Creative DirectorSome liken him to a vampire, as he'd rather spend his nights writing, world-building and when the spirit moves him, redditing. John Sexton Communications DirectorPlayer of games, maker of puns. Generally regarded as unremarkable in both those pursuits. Minho Kim Art DirectorThe Minister hails from Korea, is a trained soldier and has panic attacks when his stylus isn't in his right hand. Pedro Pitéu Lead ArtistThe Iberian Viking is probably somewhere talking art, games and Portuguese pearls of wisdom over lagers as you read this. Adrian Nungka Lead Game ProgrammerGiven a computer as a wee lad in Malaysian Borneo, he's seldom been outdoors since. Bob Jalius Game ProgrammerBob found his Triforce at a young age: Coding, chess and his lovely wife. Josh Ng Lead AnimatorAnimating a cinematic platformer is a tall order. That's why we put our tallest Sprocketeer to the task. Snow Bang Level DesignerWhile "Snow" was originally a mistranslation of her Korean name "Seol," she's owned her new name with her stone cold demeanor. Sharlyn Bui Product DesignerSharlyn likes to make stuff: jewelry, cosplay costumes, 3D models and offensive jokes. Doris Chia Human & Financial Resources ManagerOn assignment in the capital, Doris makes sure all systems are operational at Sprocketpunk and each Sprocketeer's papers check out. Afzakri Awang Scrum MasterEverything's a game to this guy. Even agile development.